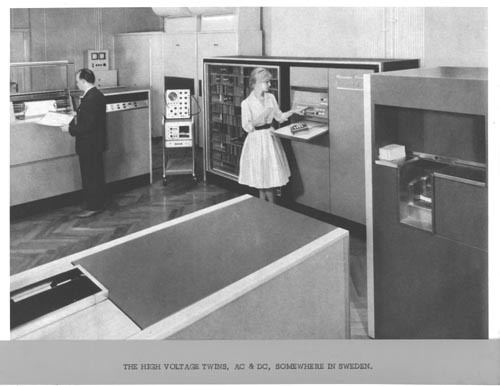 B&W digital image of a Univac System. A man is standing in the background in front of a printer. A woman is standing to the right in front of a console. Recto bottom: "The high voltage twins AC and DC - somewhere in Sweden"